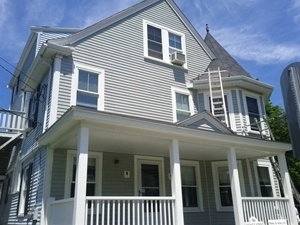 Premier Painting would love to become your preferred Lynnfield painting contractor. We've done many painting projects in Lynnfield and nearby since 2003 and are proud to be a local painting contractor of choice. We are a family-owned and operated business who cares a great deal about the quality of painting work we provide. Our goal is to always ensure you are 110% satisfied with the results we accomplish. Even though we use the best paints and provide you with the best workmanship possible, we offer competitive prices! If you've been hoping to find a dependable painting contractor in Lynnfield, call us to get your free quote! Whether you live in your home or rent it out, the interior painting has to be done at some point in time. If it's time to refresh the interior paint in your Lynnfield home, we are here to help. Our painting contractors are happy to provide interior painting services to all types of clients including renters, property managers, investors, banks, homeowner's associations, and private homeowners. Give us a call today! There's no quicker, more affordable way to get a whole new look for your home than exterior painting. Many surface types can be painted over, at least that is, if you know what you're doing. Whether you have a wood exterior, stucco, brick, vinyl siding, or metal, there's an appropriate exterior paint for the surface. Let us evaluate the exterior painting project and help you with some different options today. We'll be able to give you our best advice and a quote, all for free! Don't hesitate to call us if you need wallpaper installation or removal service in Lynnfield. Our experts know all about wallpaper and will provide you with expert workmanship. If there's a little drywall damage to repair because you started removing the wallpaper yourself, no problem. We can take care of this and more for you! If you are looking for a reliable Lynnfield painting contractor, please call Premier Painting at 978-532-7788 or complete our online request form.